As we strive for increased yields, Viafield is implementing the Nutrisolutions program. 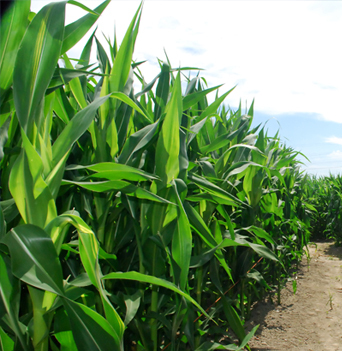 This program analyzes corn, beans or alfalfa tissue samples from your fields to determine if your plants are able to take up the needed nutrients from the soil. Your crops require different amounts of primary, secondary and micronutrients through out the various stages of its life cycle. With your sample results in hand you and your agronomist can determine if it is necessary to supplement your nutritional program. Max-in Ultra ZMB - Can be used to supplement Zinc and Manganese deficiencies. Max-in Ultra ZMB contains the CornSorb technology which increases the movement of the micronutrients through the leaf cuticle to internal leaf structures to make more of the applied nutrient available for use by the plant. CLICK HERE for more information on Max-in Ultra ZMB. Max-in Boron - Can be used to supplement Boron deficiencies. Max-in Boron product contains the CornSorb technology which increases the movement of the micronutrients through the leaf cuticle to internal leaf structures to make more of the applied nutrient available for use by the plant. CLICK HERE for more information on Max-in Boron. 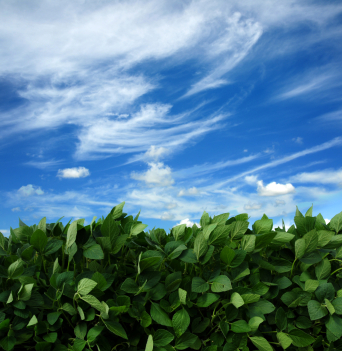 Max-in for Beans - Max-in for beans is a versatile product that delivers boron (B), iron (Fe), manganese (Mn) molybdenum (Mo) and zinc (Zn) for increased bean plant strength and production. The nutrients in Max-in for beans are complexed with mannitol. Convenient Max-in for beans plant nutrients mix easily with most crop protection products, including glyphosate-based herbicides. CLICK HERE for more information on Max-in for Beans. Max-in for Alalfa NF - Max-in for Alfalfa NF plant nutrients correct key micronutrient deficiencies with a crop-based adjuvant system for maximum nutrient efficacy. Designed for use on alfalfa, Max-in for Alfalfa NF plant nutrients deliver boron (B), copper (Cu), iron (Fe) manganese (Mn) and zinc (Zn), necessary nutrients for optimum alfalfa production. This versatile product mixes easily with most crop protection products, including synthetic pyrethroids. CLICK HERE for more information on Max-in for Alalfa NF. For complete list of AgriSolutions micronutrient products Viafield offers CLICK HERE. Quad 5 - Provides a balanced blend of plant nutrition in a convenient blend. Promotes early root growth and plant health for early planting - maximizing yield potential. Provides essential nutrients at key early growth periods when most other fertilizers do not. CLICK HERE for more information on Quad 5. 1340D - US1340D is a homogenous blend of N,P,S and Zn. Recently, Universities in the Midwest have started to see crop response to sulfur and zinc applications. The addition of sulfur and zinc has not been a common practice on many acres because historically Universities have not recommended it and there has not been a way of delivering the nutrients in an efficient manner. CLICK HERE for more information on 1340D. Thio-Sul - Thio-Sul stabilizes your UAN solution and provides needed sulfur for your crop. When UAN is applied alone, it may alter the N:S ratio and put soils out of balance. Thio-Sul helps high yielding crops get the right amount of nitrogen and sulfur on which they depend. Also, sulfur improves soil structure, increases water infiltration and helps break down crop residue. CLICK HERE for more information on Thio-SUL.